American blues guitarist and singer was born July 30th, 1936 in Lettsworth, Louisiana, and is one of the pioneers of the Chicago blues sound. Began performing with bands in Baton Rouge in the '50s before moving to Chicago in 1957. He originally recorded for Cobra Records (and, under the pseudonym Friendly Chap, for Delmark Records) before moving to Chess, where he worked as a sideman and leader, when Cobra folded. He moved to Vanguard in 1967 and then went on to work with a variety of labels. He is the brother of Phil Guy. Guy has won six Grammy awards, 23 W.C. Handy Awards, and, in 2003, he was awarded the National Medal of Arts. 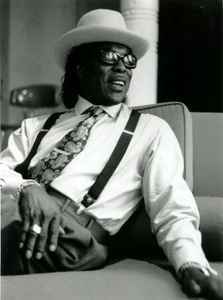 He was inducted into the Rock And Roll Hall of Fame in 2005 and into the Louisiana Music Hall of Fame in 2008.